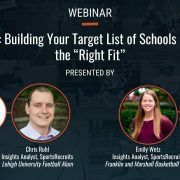 In “Player Retention,” Part 2 of our Webinar Series “Untapped Revenue,” LaxManiax owner Sarah Burlingame, SportsRecruits Co-Founder Matt Wheeler and SportsRecruits Account Manager Jordan Nies discuss club loyalty, family satisfaction, the membership economy, and strategies and tactics to create a year-long connection with club families. 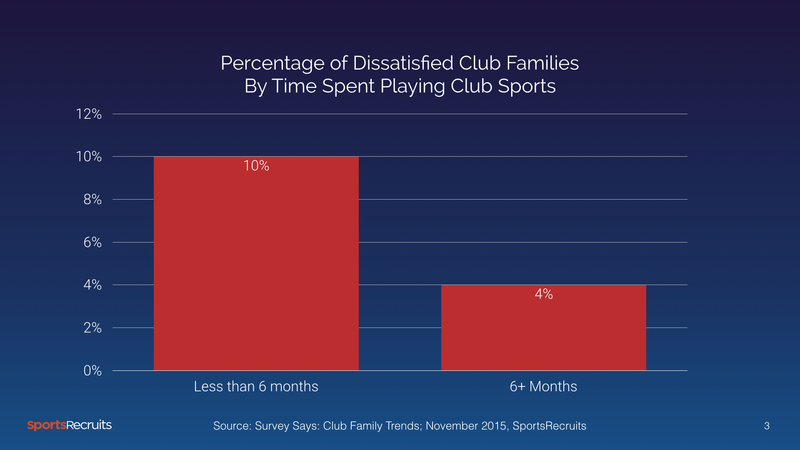 What It Means: When players spend less than 6 months playing club sports, they are 2.5x more likely to be dissatisfied with their club than when they play for 6 months or more. As we showed in Untapped Revenue: Part I, player retention is critical to the health of a club’s business. Clubs need to do everything they can keep player satisfaction high. When players are away from their clubs, they are more likely to have positive enthusiasm wane or go away altogether. 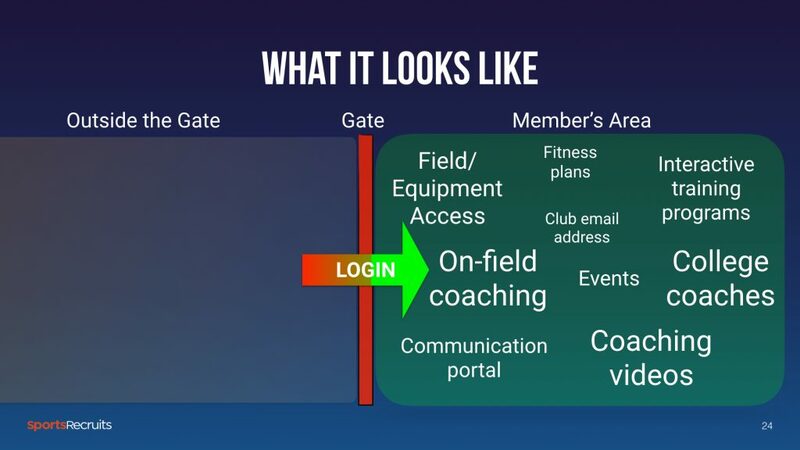 What It Means: We have discussed the Membership Economy at length in a prior piece, but the implications of this revolution in commerce are profound for clubs. 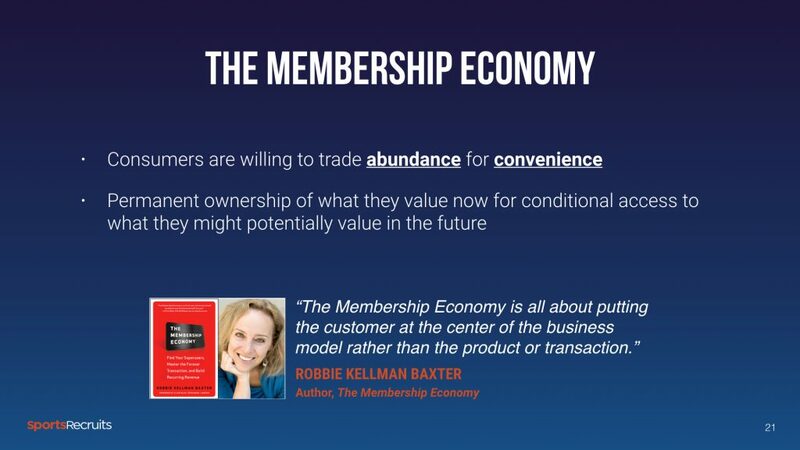 In her seminal work on the topic, The Membership Economy: Find Your Super Users, author Robbie Kellman Baxter deftly explored a tectonic shift in the economy. The omnipresence of internet connected devices web infrastructure has unlocked ways for companies to connect with their customers that were never before possible. Consumers want – and indeed, demand – the ability to interact with services whenever they want, wherever they are. Consumers are willing to pay for convenience. 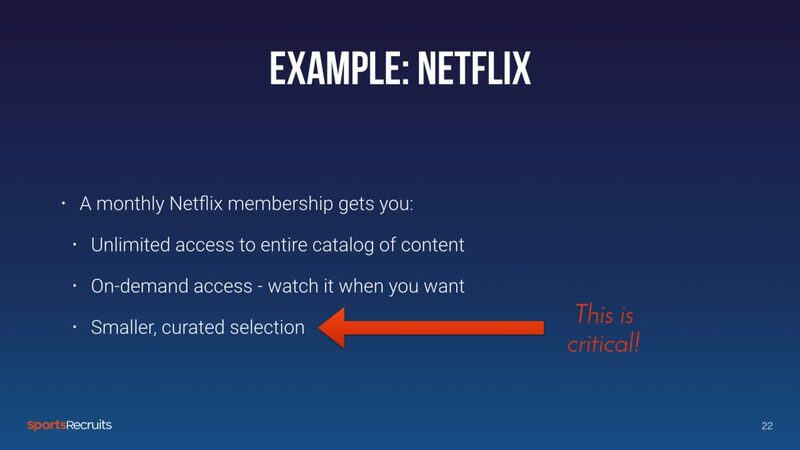 On the webinar, we used Netflix to clarify the Membership Economic concept. Clubs dues should buy club families access to a suite of goods and services that clubs provide, for a set period of time. Membership payments should be charged at regular intervals – monthly or annually are the easiest and most common. As long as the family’s account is in good standing, they should have access. 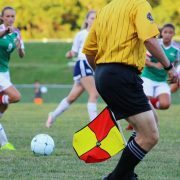 Dues should still cover the “essentials,” such as on-field coaching, equipment and gear, field access, tournament participation, and the like. 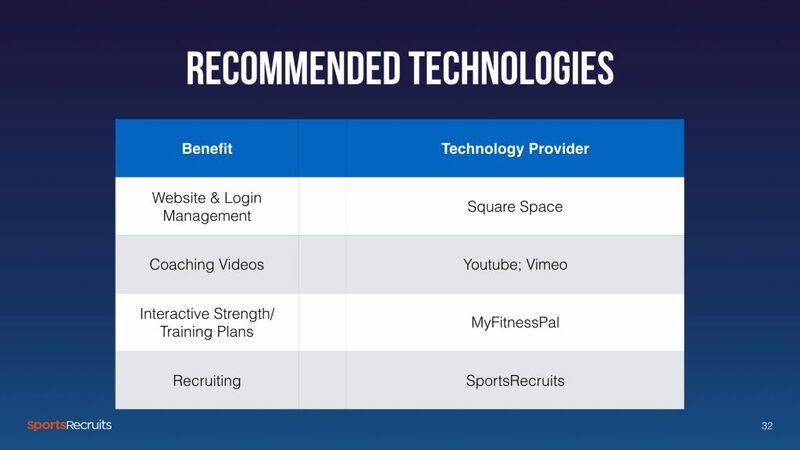 Clubs can supplement these offerings with online, on-demand tools and resources. The cost to the club is fixed whether 1 club member uses them or if 1,000 members use it. [ecko_toggle style=”solid” state=”closed” title=”About LaxManiax”]LaxManiax is the premier club girl’s lacrosse organization in the Southeast. LaxManiax was founded in 2006 by Paul and Mindy McCord. After relocating to Florida from Maryland, a hotbed of lacrosse, the couple recognized the absence of the sport in Florida and sought to change that. The McCords developed girls lacrosse on all level throughout the state. LaxManiax created an opportunity for girls players in the South to be recognized and compete on a national level. 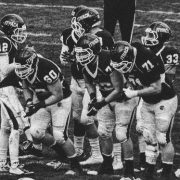 The club team created a platform for athletes to consider and be considered by universities throughout the country. Over the past 9 years, LaxManiax has positively impacted over 1,000 players and sent 207 (and counting) athletes to play in college. LaxManiax will continue to provide the PREMIER club experience for girls in Florida in the future. In March 2016, owner Sarah Burlingame took over leadership role from the founders. 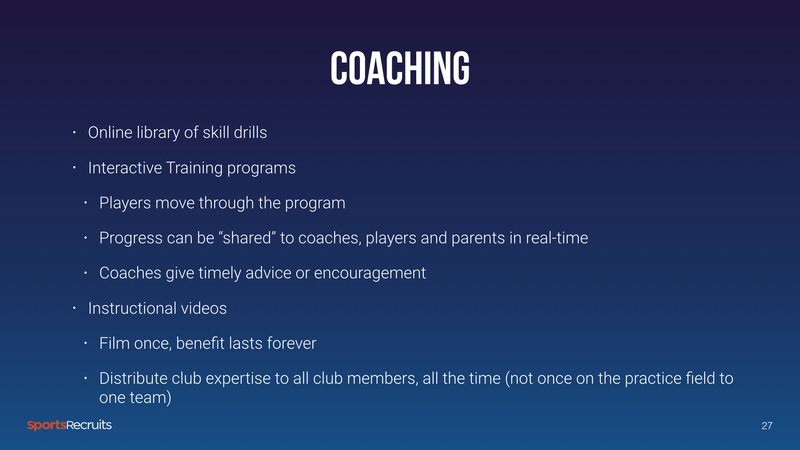 What It Means: While there is no substitute for on-the-field coaching, there are steps clubs can take to amplify the expertise of their coaches. 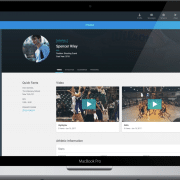 Let players access training programs online and on-demand. If you are constantly delivering value to your players – whether during the playing season or not – your players will want to remain a member of your club. 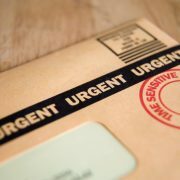 What It Means: It’s vital to have a system in place to handle your recruiting. This is not only true for your players, but also for the recruiting staffers on your club. 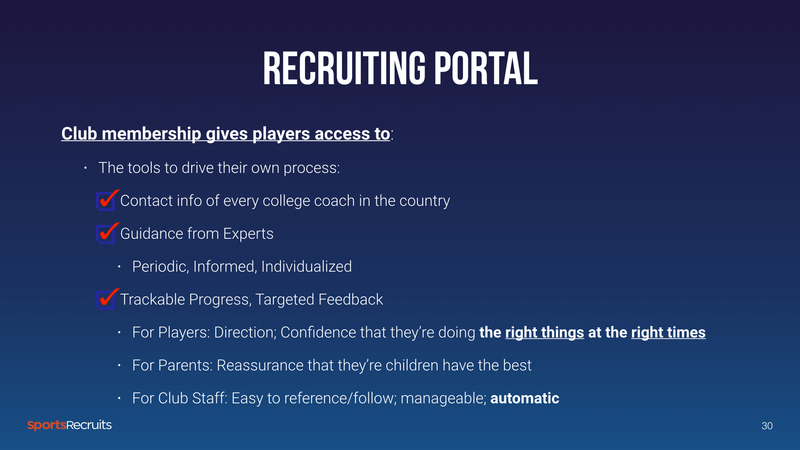 For players, online recruiting resources that they can access and act on at any time is makes the recruiting process more manageable. High school athletes have busy schedules. They have the academic, social, extra-curricular demands that take time and concentration. They also have dreams of playing sports in college, and they’re driven. Give them resources to take ownership of and responsibility for their recruiting process, and they will. 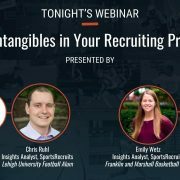 For club staffers, the benefits of online recruiting resources are profound. They can unload much of the work to the players and parents while increasing the value of the work they do put in. 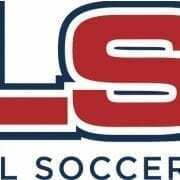 Club directors love to say they don’t need to change their recruiting programs because they have the process handled already. But when one thinks of a club as a business, is that true? 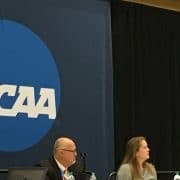 Do players feel in control over their recruiting processes? Do parents have consistent evidence that their kid is on the right path?